Botox® is a trade name for botulinum toxin, which is sold in the form of a purified protein. 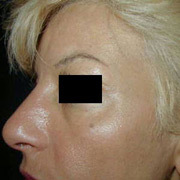 Botox is a safe, effective and proven method of smoothing wrinkles in the forehead and around the eyes and mouth. Botox treatments are quick and comfortable, and within hours you will begin to notice a difference in the way your skin looks and feels. Botox® is a highly purified protein which may be injected into certain muscles to relax them. This reduces or eliminates the active creases which are caused by muscle contraction. It does not eliminate deep passive lines or folds. 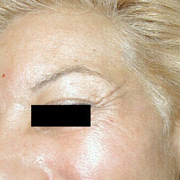 Passive creases may be filled in using collagen or Restylane® at the same session. Botox® has become the state-of-the-art treatment for unappealing forehead wrinkles, frown lines between the eyebrows and crows feet.